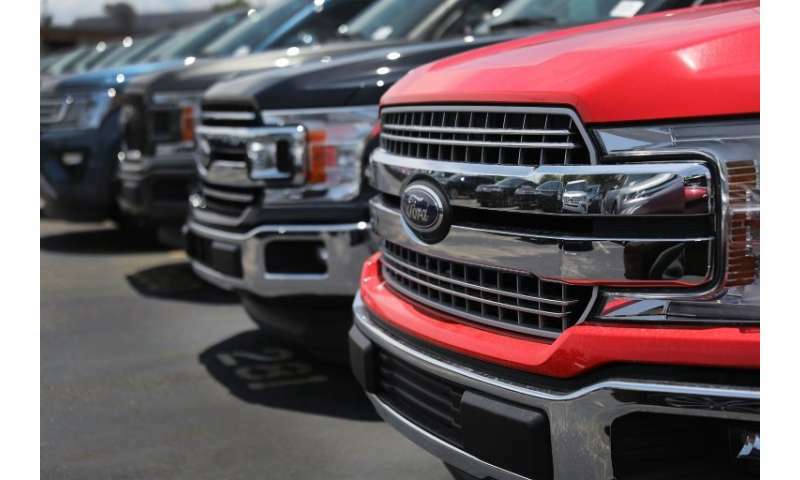 Ford will restart production of the F-150, the best-selling truck in the United States, after a weeklong shutdown due to a fire at a key parts supplier, the automaker announced Wednesday. The recovery included some herculean efforts, including shipping an 87,000-pound die from Michigan to a plant in Nottingham, England, using a massive Antonov cargo plane, to produce needed parts. "While the situation remains extremely dynamic, our teams are focused on returning our plants to full production as fast as possible," Joe Hinrichs, Ford president, Global Operations, said in a statement. "The ramp-up time to full production is improving every day." The shutdown idled an assembly plant near Dearborn, Michigan that employs around 4,000 workers. It came after the massive May 2 fire at Meridian Lightweight Technologies, whose main shareholder since 2013 is the Chinese group Wanfeng Auto Holdings. Ford said it went to work immediately, while the plant was still smoldering, to remove vital tools and equipment, and received a British import license just two hours before the plane transporting the die landed. The F-150 is the best-selling vehicle in the United States and the engine of Ford's profits.